Our business has grown by providing quality products at a fair price. We strive to manufacture innovative products that solve customer problems and increase customer productivity. We strive to be honest and fair with both customers and suppliers and treat both as we ourselves hope to be treated. We recognize the unique value of our employees and, as such, we must motivate each team member to provide exceptional service to our customers by supporting their development and providing opportunities for their growth. Satisfying our customers with innovative, quality products at a fair price that are manufactured and sold by a motivated group of employees will bring growth and long-term profitability. Fil-Tec’s sewing thread and yarn division is known as a supplier to industry leaders worldwide for a versatile line of products. 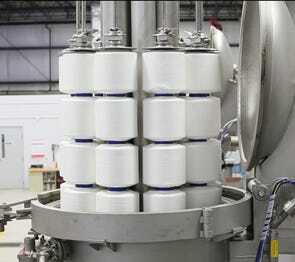 These products include bonded sewing threads, ready-wound bobbins, dental floss, and coated fiber-optic yarns. A few of the companies that rely on Fil-Tec include Johnson & Johnson, Boeing, La-Z-Boy, General Electric, Cintas, Covidien and SC Johnson.